Rarely do perfect teeth occur naturally. Your smile is often the first things people notice when they meet you It can influence the way people see you and even how you see yourself. If there is something unsatisfactory about the appearance of your teeth or your smile, cosmetic dentistry can help! A brilliant, confident smile might be a simple dentist’s visit away thanks to Dr. Eric Abrams, your Levittown cosmetic dentist. Call Levittown Family Dental Associates today to schedule a consultation with Dr. Abrams! Even though most dentists can whiten teeth, the bigger challenge is making them appear natural on your unique, one-of-a-kind face while maintaining optimal functionality. Using his advanced training and over 20 years of experience, Dr. Abrams offers cosmetic dentistry services that deliver a vibrant smile full of healthy teeth. The KöR Whitening Deep Bleaching™ System was invented by an internationally renowned cosmetic dentist and teeth whitening expert Dr. Rod Kurthy. Thousands of dentists around the world agree that KöR Whitening is by far the most reliable and effective whitening system ever developed. Dental bonding is an alternative to porcelain veneers. Bonding uses a tooth-colored resin material to repair chips, correct gaps, restore discoloration and fix misshapen teeth. Bonding can usually be completed in one appointment. With regular cleaning and maintenance, porcelain dental bonding can last 3 to 5 years and is a great option for quickly and easily repairing a host of dental problems. Porcelain crowns (also known as caps) are sometimes required to fix a tooth. A porcelain crown works as a permanent covering that is fashioned over the decayed or damaged tooth. A bridge, used in conjunction with crowns, close the space where teeth are missing. In order for crowns and bridges to work properly, the tooth’s natural structure must be reduced and re-sculpted. A more involved dental procedure, a crown is the most durable, long-lasting solution, particularly for those who grind their teeth. Porcelain veneers, (also known as laminates), can dramatically change your smile in only two visits. Veneers work like thin shells that are placed over existing teeth. Because they are so thin, unlike crowns, dentists can place porcelain veneers with little alteration to the patient’s teeth. Like crowns, veneers are perfect for closing gaps, reversing discoloration, or rearranging teeth that are crooked or misshapen. When done by an experienced cosmetic dentist like Dr. Abrams, veneers provide long-lasting and natural-looking results with minimal damage to tooth structure. Dr. Abrams specializes in using LUMINEERS® BY CERINATE®, an advanced form of porcelain veneers that offers an easy, painless method to permanently whiten and align teeth. Using LUMINEERS is a relatively painless procedure that doesn’t require anesthesia since they are placed over existing teeth without having to tamper with a painful tooth structure (unlike traditional veneers). 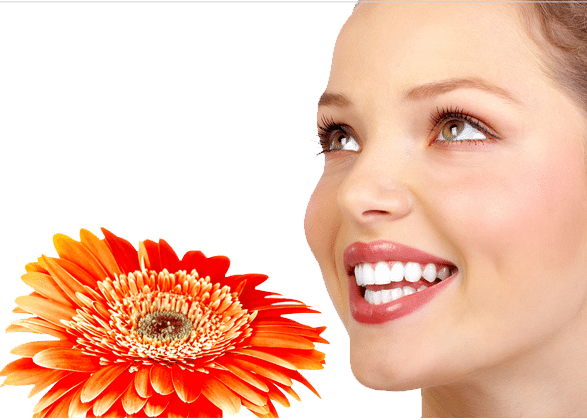 LUMINEERS can conveniently be used over existing crowns or bridge work! In just two simple visits, Levittown Family Dental Associates can build you a perfect smile that is clinically proven to last over 20 years.